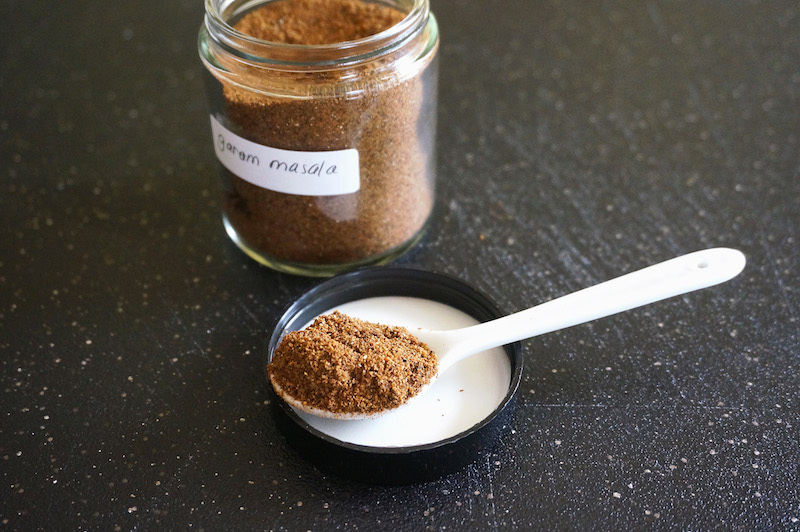 This is a simple and wonderful Garam Masala, great for flavoring in many dishes. You can always adjust the spices to your liking. Coriander seeds, bay leaf, or fennel seeds are some of the great options. Dry fry all the ingredients until fragrant. Remove and let it cool completely. Then grind into a fine powder. Store in an airtight jar. What is the spice that you are adding 2-3 inches of? The missing ingredient above is, I assume, cinnamon (above the nutmeg)? What is it that you need 2 (2 to 3 inches) of, to be broken in smaller pieces? Oops! It was cinnamon. Thanks.